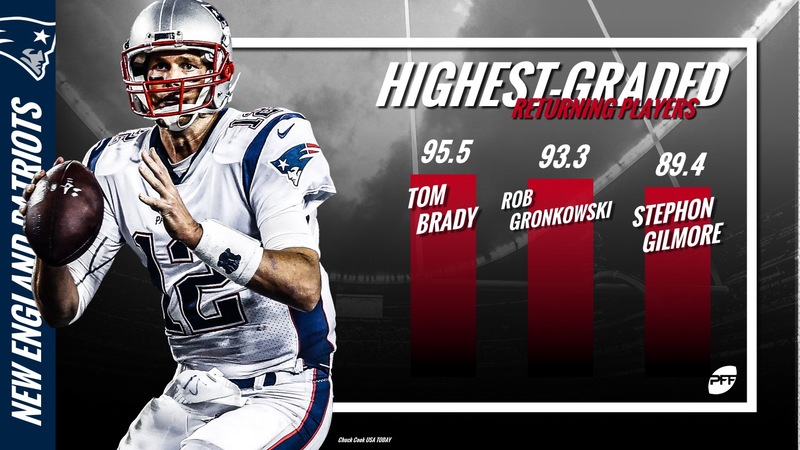 In Boston, the Tom Brady and Rob Gronkowski contract talks, as well as Julian Edelman’s four-game suspension seem to be all Boston-based media can talk about despite the New England Patriots coming off their third Super Bowl appearance in four years. 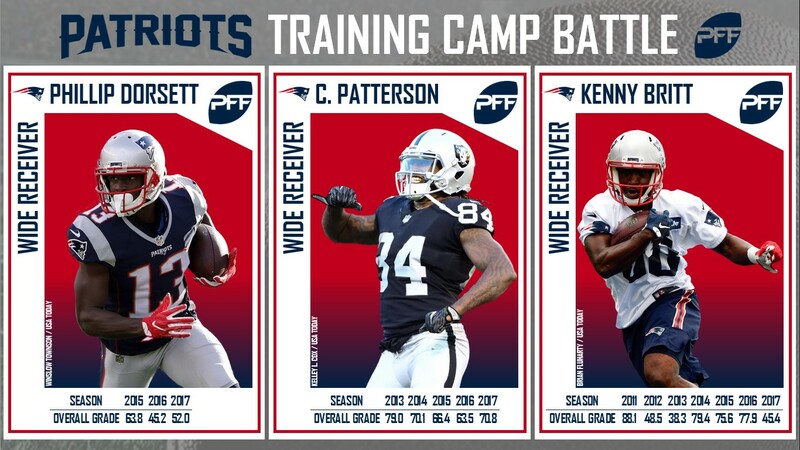 As tantalizing as these topics may be, there’s much more to discuss with regards to New England’s 2018 campaign, including who will replace Danny Amendola in the slot and Malcolm Butler as the Patriots’ second cornerback among others. While many of course would have liked to see him play in the Super Bowl against the Philadelphia Eagles, 2017 was a tough year for Butler. Among all cornerbacks, he regressed slightly, finishing with a 79.2 overall grade, ranking 51st being ranking fifth in 2016 and 18th in 2015. He also gave up six touchdowns in his coverage, tying for third-most at the position, while also yielding the 11th-most yards at 698 and ranking 108th in yards after the catch at 233. New England simply couldn’t afford to match the five-year, $61-million contract the Tennessee Titans gave Butler this offseason, especially with Trey Flowers, Shaq Mason and Chris Hogan set to be free agents in 2019, as well as Brady, Gronkowski, Devin McCourty and Julian Edelman in 2020. Enter Jason McCourty from the Cleveland Browns in exchange for the Patriots’ 2018 sixth-round pick. In overall grade, McCourty ranked 27th in overall grade during the 2017 season, and 53rd in 2016 while finishing 32nd in coverage grade and 11th against the run. McCourty didn’t miss a single tackle all season long, and his combined tackling efficiency among cornerbacks with 300 snaps ranked second. McCourty enters the Patriots defense knowing his twin brother Devin will be starting at free safety behind him, while also knowing Stephon Gilmore, the team’s third-highest graded returning player from last season, will likely be starting opposite him. The Patriots’ leading candidate to replace Amendola is Jordan Matthews, who finished the season with a well-below average overall grade of 41.7. Injuries plagued him last season, eventually leading to an injured reserve trip from knee issues, but Matthews did play in 10 games and was only targeted 35 times. He also tied for 71st with just two missed tackles forced, 86th in yards per catch at 11.3 and 103rd in blocking. To Matthews’ credit, he did thrive in the slot, finishing ranked ninth with a 73.9 percent catch rate from an inside alignment, right behind Amendola. Going back to his outstanding rookie year, Matthews’ catch rate ranked 20th at 68.1 percent and his eight touchdowns and 64 receptions in the slot each ranked second. The Patriots selected a pair of Georgia Bulldogs in the first round of the 2018 NFL Draft who could very well start at their respective positions in left guard/tackle Isaiah Wynn, taken 23rd overall and RB Sony Michel, who heard his name called at Pick 31. Wynn graded as the second-best left tackle in all of college football last season. He really shined as a run-blocker, finishing with the second-highest run-blocking grade but he was no slouch in pass protection either, as he didn’t give up a single hit on the quarterback, and relinquished just three pressures all season long. Wynn will compete to takeover for Nate Solder, who signed with the New York Giants this offseason, with former 2015 seventh-round selection Trent Brown. The 6-foot-8, 380-pound Brown was acquired from the San Francisco 49ers for the 95th overall choice back in April. Michel ranked 22nd overall during his final season in Athens, splitting time with Nick Chubb limited him to just 354 snaps but he still managed to tie for fourth in yards per carry at 8.1, 27th in yards after contact per attempt and tied for 44th in missed tackles with 35. There’s a level of uncertainty in New England that rivals any year in the past. Left tackle and cornerback depth are question marks, as is linebacker depth. However, given their track record of discovering diamonds in the rough, this team looks as poised as ever for a deep playoff run. They’ll just have to iron out a few details in training camp.